Tom Kepler Writing: I Receive the "Versatile Blogger" Award Twice in One Week! 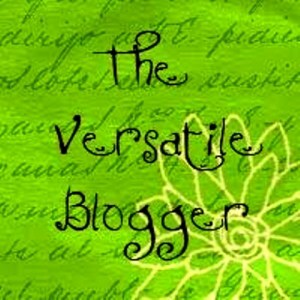 I Receive the "Versatile Blogger" Award Twice in One Week! Receiving the Virtual Blogger Award is an honor because it is designated by other bloggers. It is a recognition by writers who are actively engaged in the process of sharing by blogging. When I began blogging two years ago, my research said to create focused blogs, but then I realized that I'd have to maintain regular posts for blogs on education, writing, gardening, bicycling, the school where I teach, and the Transcendental Meditation program. I decided just to focus on my interests and let readers decide if they wanted to read a particular post. It was my job to create harmony from the diversity of my life interests. I guess, judging by this Versatile Blogger Award, that diversity has its positive points, too. Rosanne Dingli: an Australian writer who writes about her lifetime of experience in writing and publishing. I have reviewed one of her books, Making a Name, and other stories. Her current novel is Death in Malta. All of her books are available here at Amazon. Mary Chase: the author of a new mystery/thriller--The Fool's Journey-- and several Regency romances. She is also an educational technology/literacy consultant with a Ph.D. in Literacy and Schooling from the University of New Hampshire. Her books are available here at Amazon. I am happy to tout a fellow educator/writer. Thank the blogger who honored you and be sure to link to his or her blog. Pass the award on to five deserving bloggers. I am an eclectic reader and will often move from a fantasy/alternative history to a western to a classic and then on to a historical novel, a non-fiction book, or a biography. Good reading is not confined to a single genre. I like to ride my bike to work (1.6 miles), and one of my favorite memories is coming home and having my front coated in ice from freezing rain--at least, it's a favorite memory now that it's over. I started my writing career with poetry and find that poetry has greatly influenced my writing of prose. There is a good article about that from Flash Fiction Chronicles. I tend to write the beginning of a book about ten times--and then I can move on. I think I need to establish for myself the tone and rhythm of the words for that particular piece before I can really move on manifesting the vision. I like to garden, and it was my joy to include a garden gnome as a significant character in my fantasy novel, The Stone Dragon. Also, I think I did a pretty good job of debunking the stereotype of gnomes as little pudgy individuals who wear tall pointy hats. I've been a classroom teacher for thirty-three years--and always with at least one middle school class, one with eight. It's the hardest thing I've ever done, but I've never been bored! I find the saying "The world is as we are" very significant to my writing. Five other bloggers deserving the Versatile Blogger Award . . .
Michael J. Sullivan, an independent writer who "made it"
Thank you to these five writers/bloggers for their example and support. Tom - I appreciate your thanks, and find you tailored a lovely blog around the specs you were given! I enjoyed this. I was surprised and honored to be given this award twice in the same week! Thank you again. Being praised by one's peers is always a thrill!